The Your Street Challenge, inspired by Design Indaba, and initiated by Interactive Africa was recognised and rewarded at the Business Day BASA Awards. 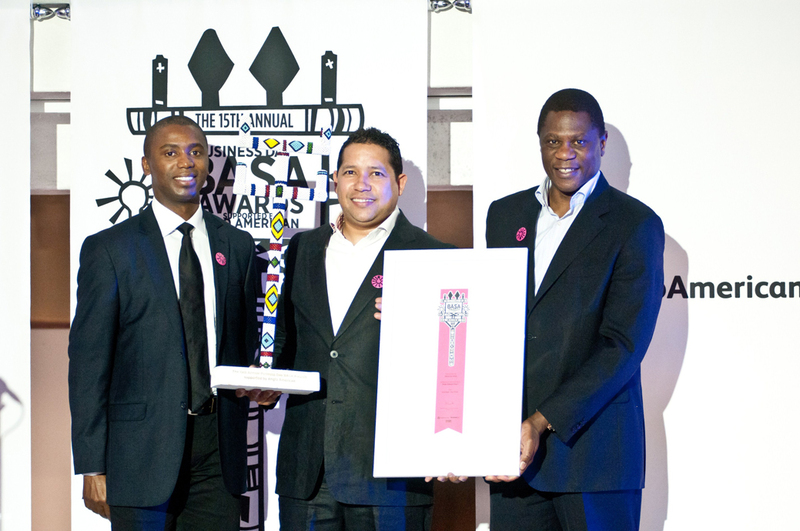 Creativity for urban enhancement was the hot topic at the recent 15th Annual Business Day BASA Awards where Design Indaba was honoured among the 14 winners that were highlighted. The awards included 12 innovative business and arts partnerships as chosen by an independent panel of judges. The winners were announced at a ceremony held at Wits Arts Museum (WAM) in Braamfontein earlier this week. The Single Strategic Project award was bestowed upon Interactive Africa for the Your Street challenge, inspired by Design Indaba, which called for creative proposals on how to enhance Cape Town’s street life through the power of design. The first prize of R100 000 was awarded to the Acre Road, Kensington project, which took a desolate dumping ground and turned it into a soccer field and performance area with seating. The Acre Road project is comprised of team members Lorena Pasquini, Hannah Williams, Mark Henning and Caitlynne Francis who proposed a community-based design solution to improve Acre Road in Kensington, on the outskirts of Cape Town. The project aimed to improve the lives of the local community by providing low-cost facilities to cater for existing positive community activities for which there was no infrastructure. Starting with the idea of creating a small six-a-side football field and a dancefloor that could also be used as a performance space, the concept was extended to include simple seating structures that also function as a low barrier between the football field and the road, as well as a space for public information and community artistic expression. The Your Street Challenge is the ideal opportunity to showcase how design thinking can be used to transform lives, in your city, in your street. The challenge calls all members of the creative and design communities to see their daily surroundings and find ways in which they can be transformed to enhance everyone’s experience of Your Street. This initiative has been carried through to other cities in South African as well as Eindhoven in The Netherlands with future plans to extend this project further still. Business and Arts South Africa CEO, Michelle Constant had this to say, “We were delighted at the quality of entries this year. The winners and finalists really demonstrated that even in the current economic downswing businesses and arts organisations are engaging in innovative and important partnerships”. The list of winners at this year’s awards showcase the diverse ways that business can support the arts. Winner ranged from large corporates to small enterprises. For further details on the Your Street Challenge please visit www.designindaba.com/yourstreet or contact Nicole Chowles at nicole@interactiveafrica.com.